NATIVE EXTRACTS' innovation in CELLULAR EXTRACTION uses Biomimicry to deliver the first 'True to Nature' Liquorice extract, delivering its full plant profile of water-soluble phyto-actives, as they exist in nature – potent, active, synergistic and bio-available. The root can be used raw or used as flavouring creating exciting new directions for nutraceauticals and superfoods. 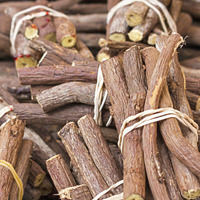 Licorice is well documented - it contains a natural expectorant so it can help soothe coughs and colds; it offers digestive relief by decreasing the amount of stomach acid and can help reduce stress and anxiety. 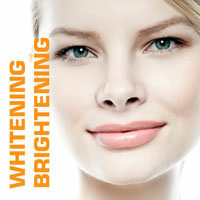 NE Licorice Cellular Extract for Whitening-Brightening skin. Maltol-Glycoside Derivative, Phenolic, Flavonone Glycoside : Liquirtin-Isoliquirtin, Chalcone Glycoside : Licuroside, Flavonone and Triterpene Glycoside : Glycyrrhizic are peaks independently identified and verified by Plant Sciences Analytical Services, Southern Cross University New South Wales, Australia.